Thank you Kindredspirit....I love the mental picture of me wandering aimlessly around Limerick ! If that ever happens, the husband will definitely have the men in white coats after me....life is full of surprises at our age, so anything is possible ! 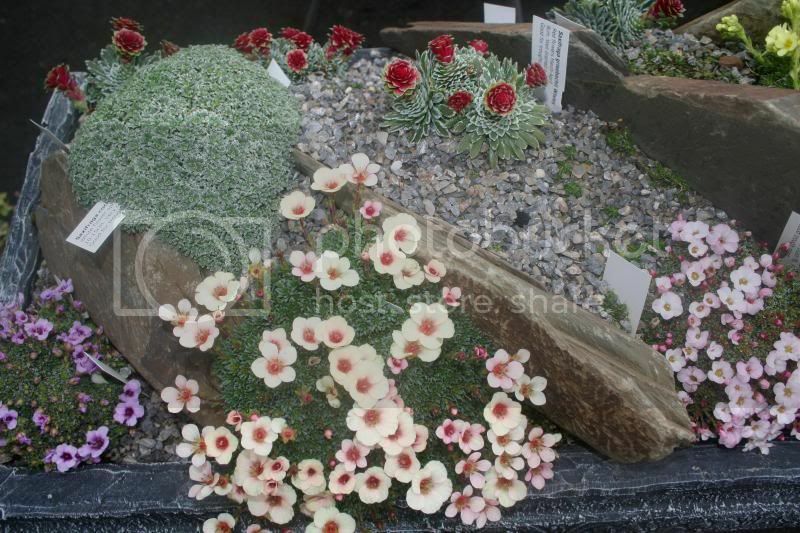 I watched Monty Don at RHS Wisley on Friday's Gardener's world, and loved the alpine plant house....it's like an entire world in miniature. 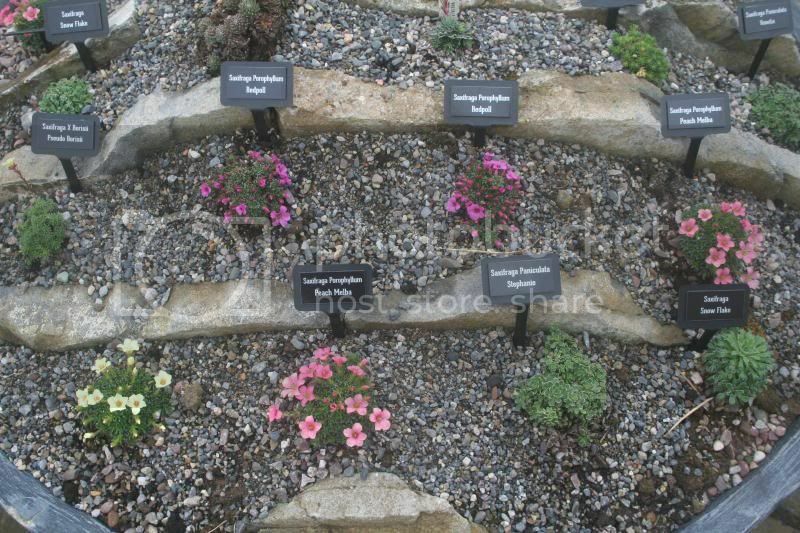 When the acre gets too much for me, I hope alpine plants will be my final gardening adventure....your photos are always inspirational, thank you. A local farmer happened to mention that he had a one ton weathered limestone rock in his field. It was scored with deep grykes. Off I set in my van and it was loaded with a little difficulty into it. I then got it out of the van and manoeuvred it into position in the garden. I can assure you it's never going to move again! Heavy isn't the word. 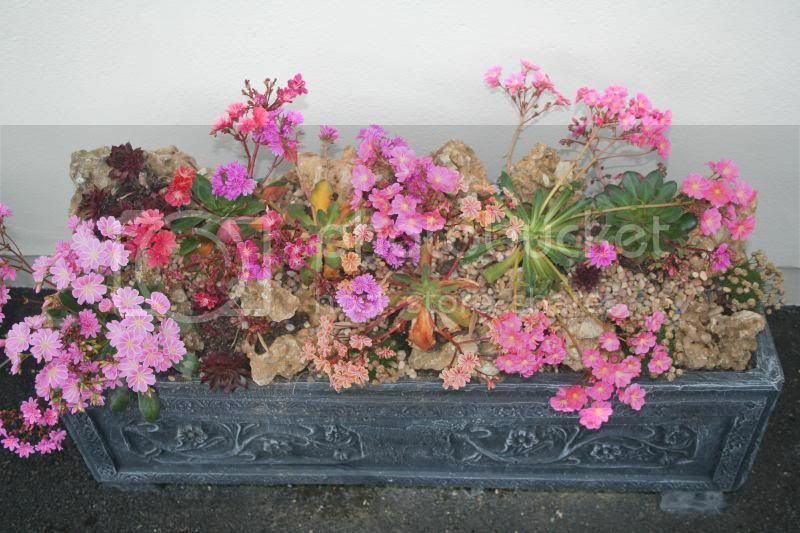 There's no alpine nursery in the south so to make it presentable for now, I tore up a load of Sea Pinks from the front garden and stuffed them into the crevices. I put back some of the protruding bits of rock that had been knocked off during the manhandling. I can take my time and decide what I'll eventually put into it but the Sea Pinks will do temporarily. The bits of railway sleepers underneath will be covered in time by the heather. 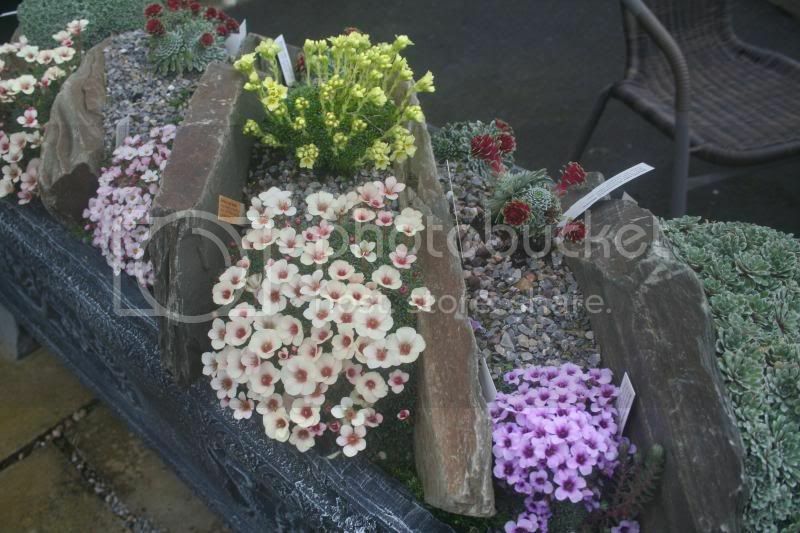 The first pic is of my trough of Lewisias that I'd planted earlier. 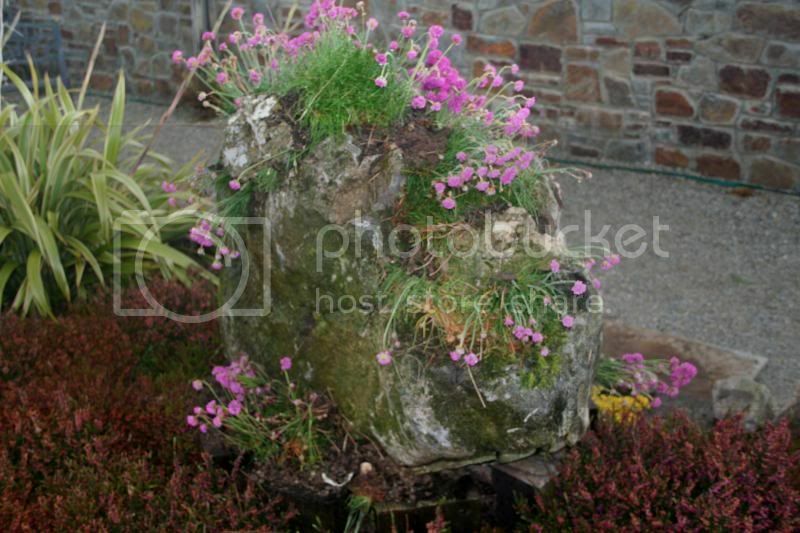 The second is of the cut off top of a black plastic drum planted up today with Lewisias. I'd only a couple of plants spare to put into it. I'll get some more later on. It's filled with my home made acidic soil between volcanic rocks. 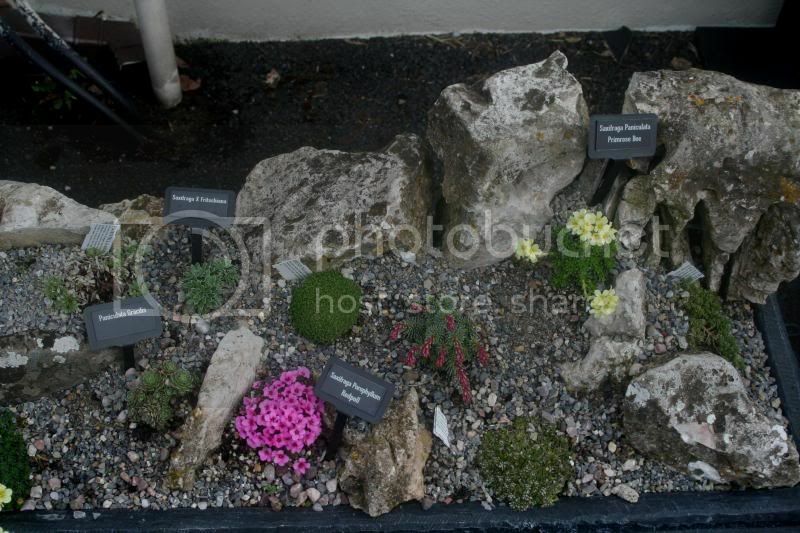 Saxifrages planted up today in Limestone Crevice Rock in circular trough. 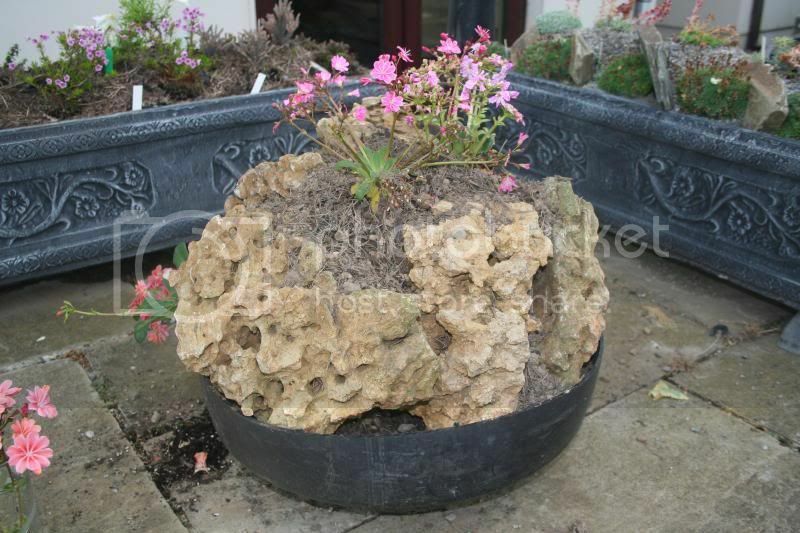 Where do you buy your rock plants, kindredspirit ? I don't need rare or special ones, just ones that will flourish in gravel...I have too much of it and want to take the bare look off it. 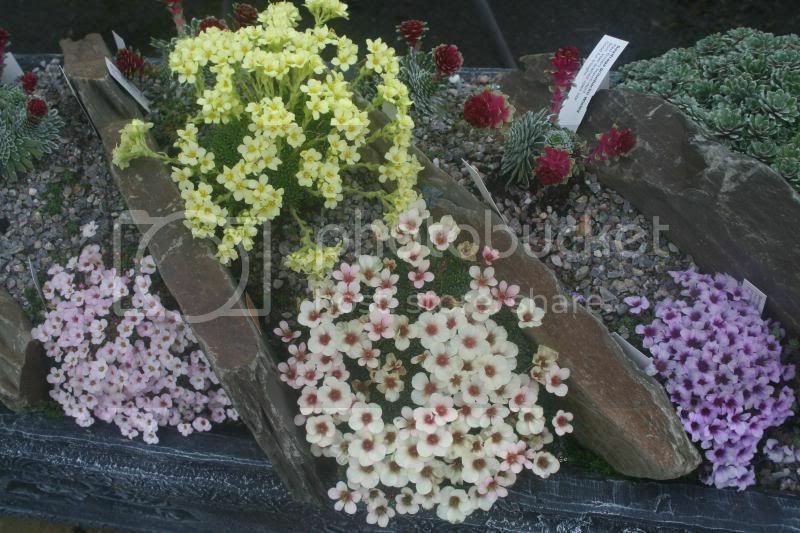 I used to get them from Chris Pattison in North Gloucestershire but he doesn't do Alpines anymore. I got these new ones from "The Alpine Centre" in Derbyshire but he doesn't do "mobile phones, e-mail or any new fangled things" like that. You have to drive across and pick them up. Way, way cheaper to buy there, though. And a massive, massive selection. It's like being in heaven and his garden is stunning. 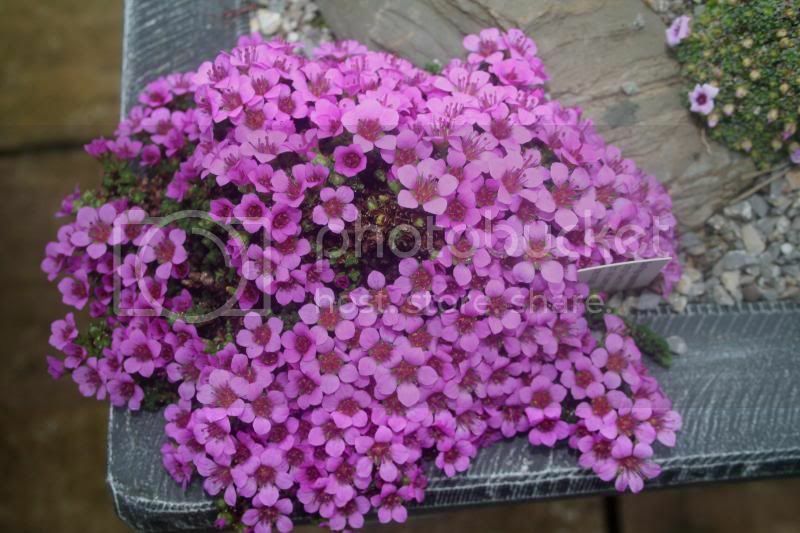 By the way, Heather and Armeria Maritima look good in gravel. Thanks for all that info. kindredspirit....you're obviously really into that specialised Alpine world.......I'm afraid that would all be wasted on me, just at this stage of what I'm doing with my acre..........for I can barely remember the names of things I grow. But I'll have a look at all those links, thank you. 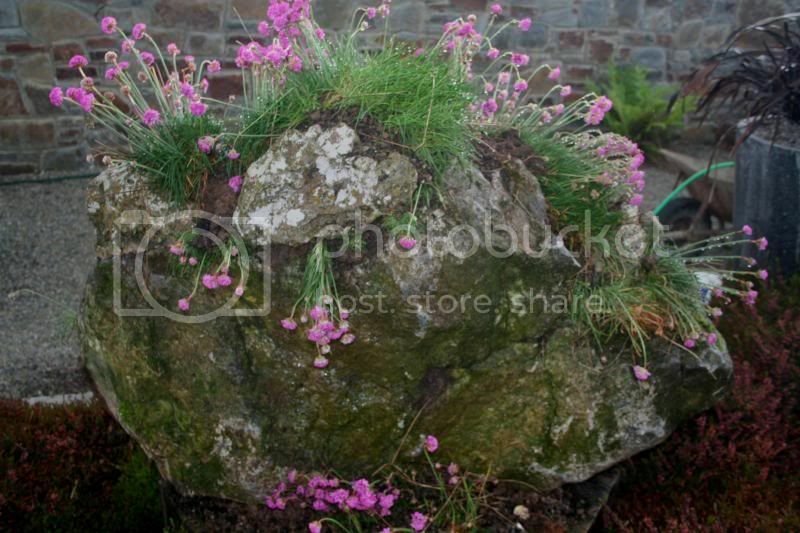 Thanks for the tip about the sea thrift....I hadn't thought of popping that into gravel. as for heathers, they seem to get a death wish when I plant them..... no idea why ! 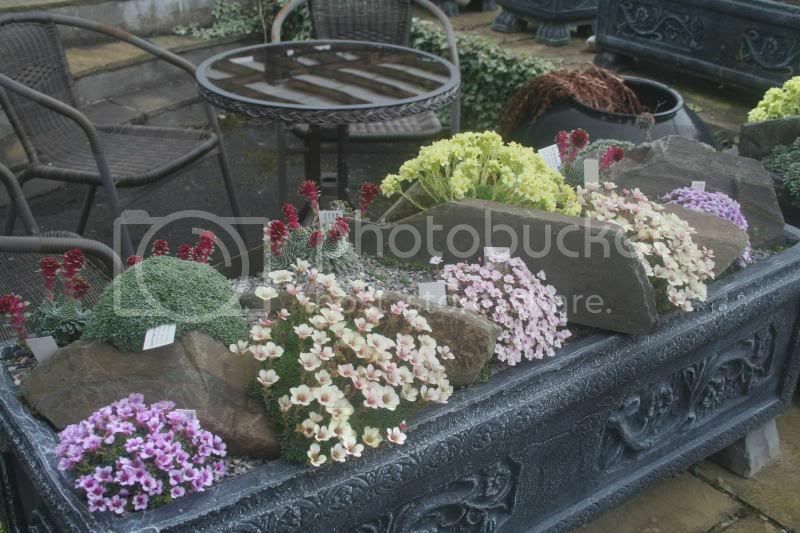 Another idea for gravel is Wallflowers. You won't be able to kill them Sive. You could plant them in drifts or clumps. I have Bowles Mauve, which I planted in subsoil in two pots (I'd run out of topsoil so I just bunged in clay) in April 2012. They have been continuously flowering since, even through all the winter months. 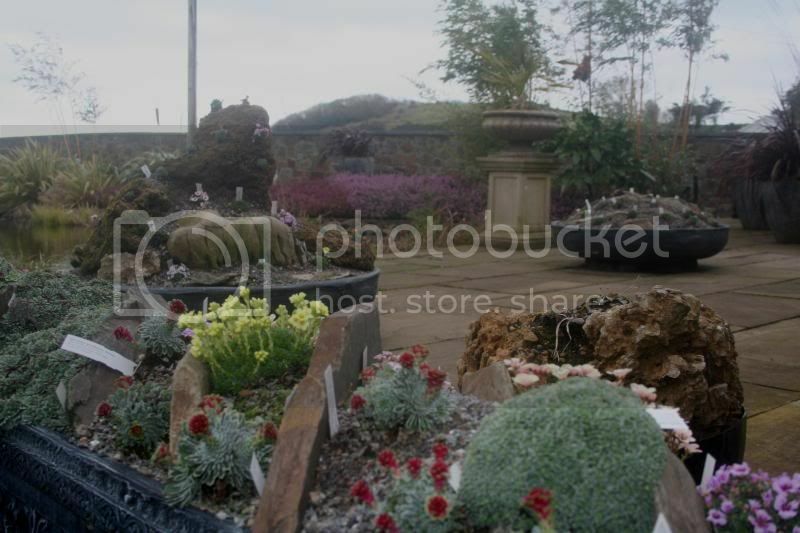 You could also plant Spurge in gravel, silver, purple & green varieties. I'm taking notes here, it's great to get ideas from you....Californian poppies do well in my gravel and self seed for me, but I am constantly pulling up whatever that common weed is that is a member of the spurge family....so I would be wary of growing spurge unless you tell me they can be well mannered ! What varieties would you be referring to ? Oh, that greeny spurge with a yellowy top. That spreads like wildfire, particularly through a hedge. I've silver leaved spurge in the front garden which doesn't go anywhere and I've just obtained 4 Purple ones. I wasn't given the name of them, though. 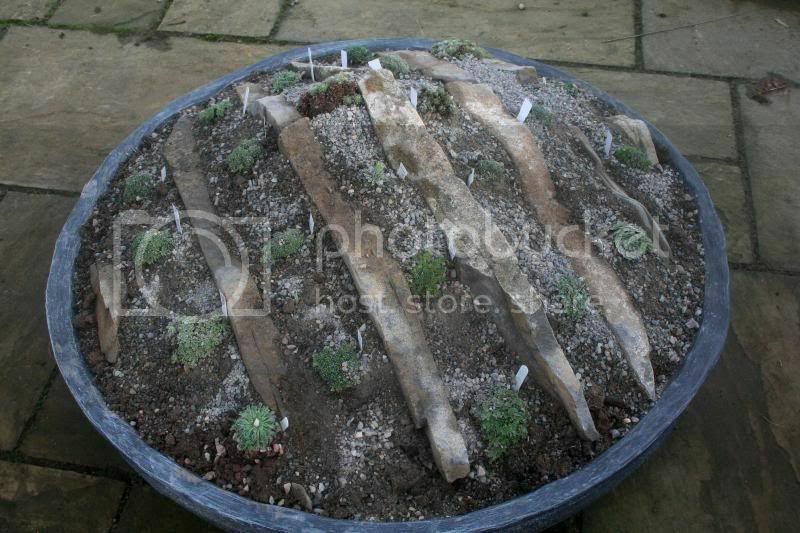 What looks stunning in a gravel bed, as well, (if your bed is big enough) are Phormiums. 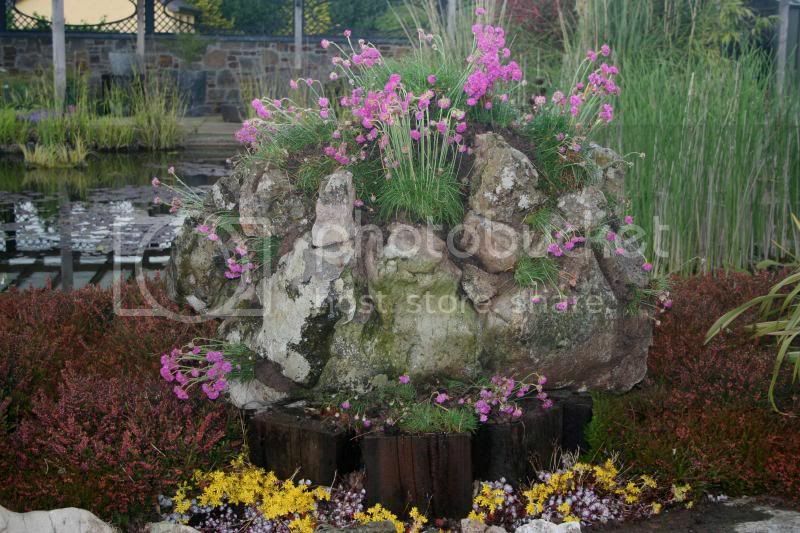 There are several gardens landscaped this way near Cappawhite in Co. Tipperary and they all sailed through the two bad winters of 2010. The gravel must keep the roots warmer, I suppose. They used nearly all red varieties there. 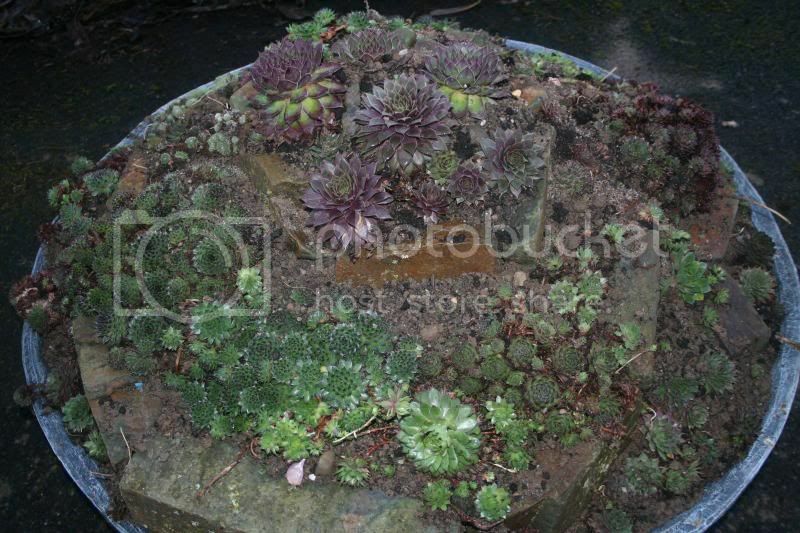 I've found the spurge Euphorbia Amygdaloides var Robbiae does well for me. I'd doesn't require very good soil and thrives in gravel. It's easy to pull up bits that are spreading too far - you could even attack it with a lawn mower late in the season to tidy it up. It will come back early in the year with lovely fresh green bracts. Another really nice Euphorbia for gravel, and that is low growing and tolerates partial shade, is E Epithymoides Major which has the RHS AGM. There are lots of splurges that aren't spreaders - they are a group worth exploring. Another plant that does well for me, in gravel, but in a damp situation, is Gunnera Magellenica. It's a spreader but easily controlled and only grows to about 10cm. I've used it at the edge of my bog garden and around part of the pond. 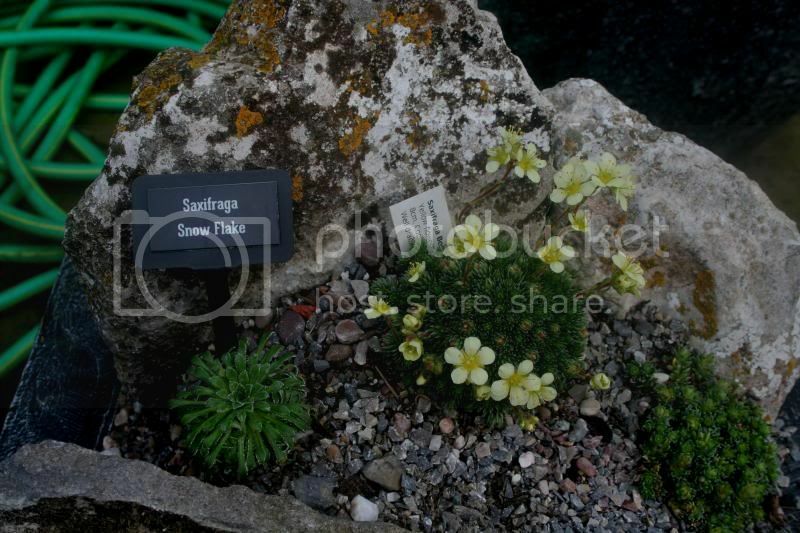 Various anemones would look good growing through gravel, too, provided they have some humus rich soil. I have the answer for you Sive. Delosperma Cooperii ! Second easiest plant to propagate (after Lampranthus) Brilliant evergreen groundcover and you stick taller plants like Spurges, Phormiums, Yucca Filamentosa through them. 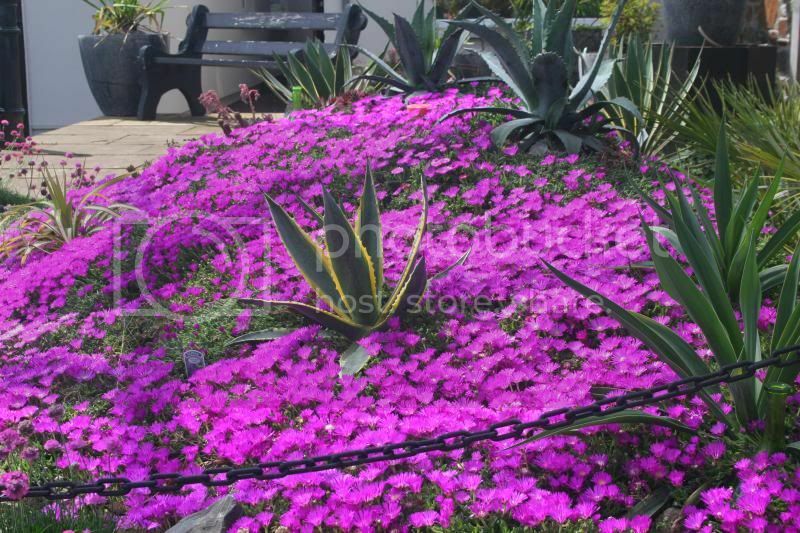 Once Delosperma has conquered all the gravel, you'll have no more weeding. 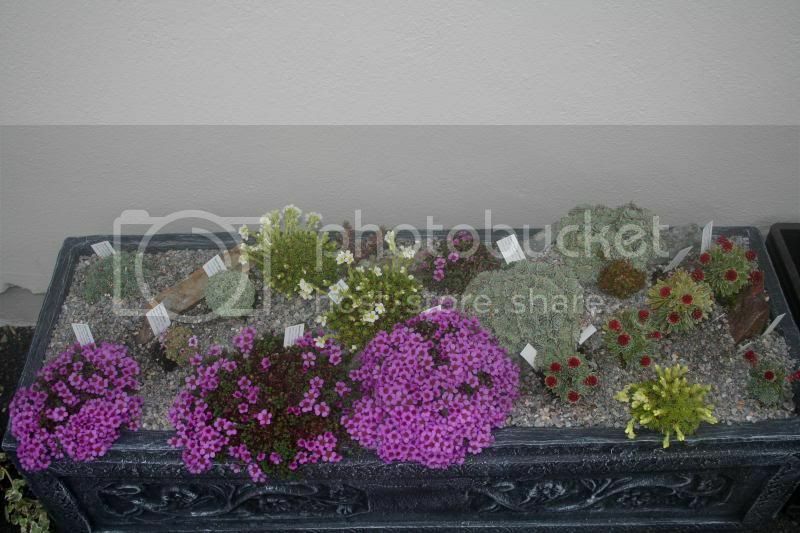 Here's a piccie of my Delosperma flowering, studded with Beschorneria, Dwarf Fan Palms and Agaves.